A Casino That’s Built A Big Reputation! Mansion Casino has been building its reputation as a top-class online casino since 2004. It quickly announced itself to the world by sponsoring English Premier League Team Tottenham Hotspur from 2006 to 2010, and has since sponsored Bournemouth AFC and Crystal Palace. Now, it’s famous logo of a white “M” on a red background is nearly as famous as the “M” that forms the golden arches of McDonald’s. The Mansion “M” continues to sit proudly above a classy website design, with the site being extremely easy to navigate. Mansion holds a United Kingdom Gambling Commission License, and its operation in the United Kingdom is overseen by Mansion Europe Holdings Limited. Its operations outside of the United Kingdom are overseen by Mansion Online Casino Limited, under a Gibraltar License. The company is based in Gibraltar. Mansion Casino offers its casino software via download to desktop players who wish to play on a PC. Downloading the software is a simple process, and gives you access to a fantastic range of slots and table games. It’s also possible to download the Mansion Casino App for Android and iOS, and this is ideal for players who like to play on the go. 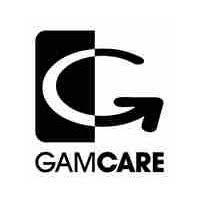 Should you have any difficulties with the software, or anything else, customer support is on hand 24/7. Simply click on the Support Tab to access 24/7 Email Support or Phone Support. Support is available in English. Security is also first-rate, with an industry standard 128-Bit SSL Encryption and Firewall protecting all personal-data and transactions. Players from the following countries are restricted from playing at Mansion: Kyrgyzstan, Cambodia, Tajikistan, Ethiopia, Bolivia, Nicaragua, Turkmenistan, Liberia, Guinea Bissau, Guatemala, Uganda, Pakistan, Ecuador, Sierra Leone, Burundi, Vanuatu, West Bank (Palestinian Territory, Occupied territory), Egypt, Gaza Strip, Congo, the Democratic Republic, Sudan, Central African Rep, Eritrea, Myanmar, Lao People’s Democratic Republic, Venezuela, Libya, Singapore, South Sudan, Bosnia-Herzegovina, Haiti, Somalia, Syria, Yemen, Iraq, Afghanistan, North Korea, Czech Republic, Australia, Colombia, Russia, Ireland, Lithuania, Antigua and Barbuda, Netherlands Antilles, Romania, Israel, France, Estonia, Cyprus, Bulgaria, Belgium, Turkey, Portugal, Macau, Philippines, Slovenia, Hong Kong, Spain, Libya, Austria, Hungary, Slovakia, Ukraine and the United States of America. The best thing about Mansion Casino is the games you can play. That’s because all games are provided by Playtech. Slots players are especially in for a treat with over 200 Playtech Slots to choose from, including over 40 Jackpot Slots. Playtech is renowned for its large portfolio of Comic Book Slots such as Superman The Movie and The Green Lantern, but its slots also cover a wide variety of themes. You might want to try some of Mansion’s newest additions such as Age of the Gods: God of Storms, Ghost Train Fairground Fortunes, Stars Awakening, or Jurassic Island. Alternatively, you can play old favourites like Pink Panther or Ace Ventura. However, if you want the chance to get rich on a single spin, Jackpot Slots like Jackpot Giant, and Who Wants To Be A Millionaire should probably be on your agenda. Meanwhile, table games players may want to play at the Mansion Live Casino, where tables offer live dealer games like No Commission 7 Seat Blackjack, Casino Hold’em, Unlimited Blackjack, and Dual Roulette. There are also many more table games at the inhouse casino. Games like Dragon Jackpot Roulette, Lucky Lucky Blackjack, 3 Card Brag, Caribbean Stud Poker, Craps, Sic Bo, Red Dog, Stravaganza, Pontoon, and Pai Gow Poker. Several varieties of Video Poker are also available, including 2 Ways Royal and 25 Line Aces & Faces. Mansion Casino offers players a variety of payment methods which they can use to make deposits and withdrawals, whilst some other payment methods can also be used to make deposits. Withdrawal times are average for the industry. Mansion Casino understands the needs of all casino players are not the same, and welcome bonuses are aimed at standard players and high-rollers. The Standard Welcome Bonus is a 100% First Deposit Bonus worth up to £200 + 400 Spins, with very reasonable 20x wagering requirements. Meanwhile, High-Rollers can take advantage of a 50% First Deposit Bonus of up to £/$/€5,000, which needs to needs to be wagered just 15x. 18+. New customers only. Minimum deposit £20, maximum bonus £200. Wager 40x before withdrawing. Game weighting applies. Max bonus betting limit – slots: £5, other games: 10% of bonus amount. www.begambleaware.org. Full bonus terms. 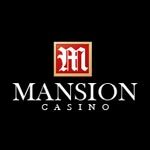 Head to the Promotions Page at Mansion Casino and you’ll also find the latest promotions aimed at regular players. Examples of these include Red Or Black, which gives players the chance to make a deposit and get up to 50 Free Spins. There’s also seasonal promotions, such as the Bonus Blizzard in which players can win Bonuses, Reloads, and more Free Spins. It’s also possible to earn Loyalty Points at Mansion Casino. These Loyalty Points can be earned playing Slots, Progressive Slots, Arcade Games, Scratchcards, Roulette, Card Games, Video Poker, Craps and Sic Bo. The amount of Loyalty Points you accrue then determines your VIP Status. Mansion House VIP’s can look forward to Exclusive Reloads and Promotions, and Special Anniversary and Birthday Gifts. Elite VIP’s can also enjoy Cashback Offers and VIP Events. Mansion Casino is a safe bet, and not just because it offers safe and secure transactions. It’s also a safe bet because it offers a choice of welcome bonuses with generous wagering requirements. There are also regular promotions to keep things interesting, as well as Loyalty Points and a VIP Program. It’s also a safe bet that you won’t get bored at Mansion Casino – why would you with a fantastic range of slots, table games and live casino games from Playtech.